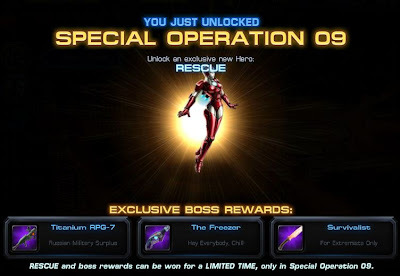 ooh neato: Marvel Avengers Alliance: Spec Ops 9 Launches! Rescue Up for Grabs! A.I.M. is trying to develop their own super-soldier, and for the first time it looks like they might actually have something that works. Pepper Potts to the Rescue! Has a chance each turn to gain Targeting Assistance, which grant his attacks 100% chance to hit and crit, and gain True Strike, allowing him to ignore Avoidance effects on enemies. War Machine now uses an ammo mechanic. His Repulsor Ray and Minigun Barrage require ammo (Charged Capacitor) to function, and will fire a number of times equal to the number of Charged Capacitors on War Machine. Each attack will consume one Charged Capacitor. Iron Man’s Mk 42 armor comes with a whole new suite of upgrades - not only giving Iron Man a passive effect, but wholly improving all of his existing moves! Attacks this turn have 100% chance to hit and crit, and gain True Strike, allowing him to ignore Avoidance effects on enemies. Brand new players will be greeted with a pop-up that tells them how to find Spec Op 9 if they are coming to the game for the first time looking for Iron Man 3 content. 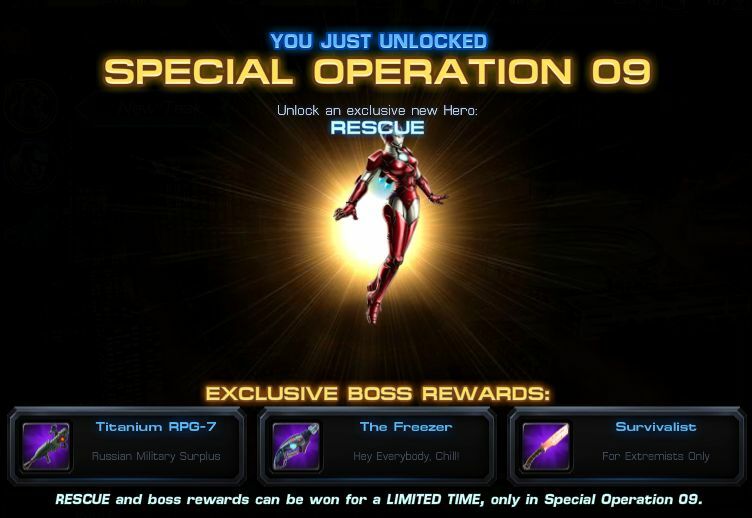 Some cameo fights will now allow players to try out new costumes (as seen in Spec Op 9 missions with Iron Man Mk 42). For the Iron Patriot and Iron Man Mk 42 costumes you can see different abilities in the Team management page when you select them. This will expand to characters with more than 4 abilities (such as Punisher, Vision, and Omega Sentinel) in the near future. It will not affect the gameplay of these characters. Facebook-Only: Purchasing a new hero uniform will make a post to your wall to tell your friends about what you’ve just unlocked!